Christiana Musgrove was to marry Thomas Langman in November 1885. The preparations for the wedding obviously included buying a wedding dress. She suggested to her father George Musgrove she should have an advance from a trust fund that had been set up some years earlier for her mother. This trust fund was set up in the late 1860's when money from a Will was left to George Musgrove's wife to be, Christiana. 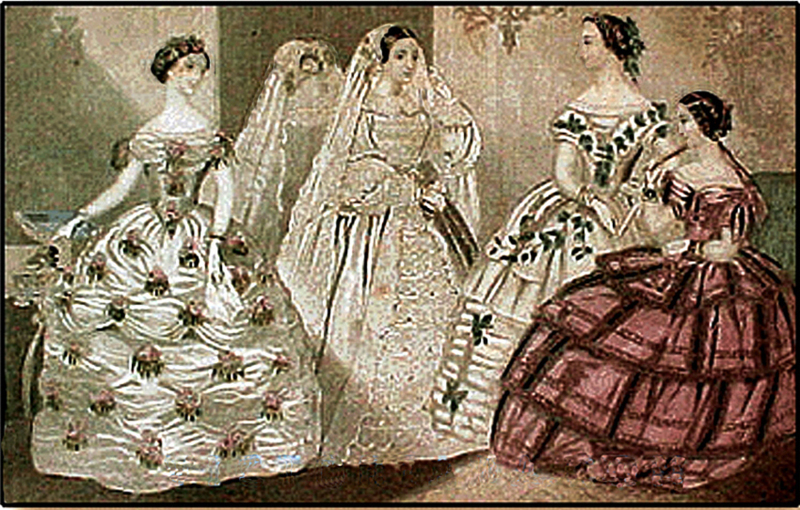 The Tustees agreed that a sum of £60 (comparable today to £28,225) would be given for her trouseaux. On October the twentieth 1885 George, his wife Emily and daughter Christiana travelled to London with her future husband Thomas Langman. 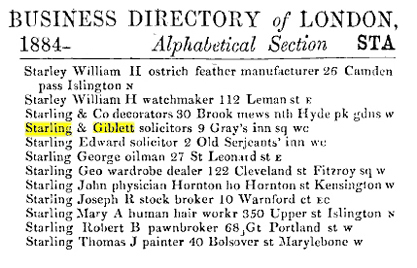 They first went to the offices of the solicitors Starling and Giblett in Grays Inn Square. They were responsible for administering the trust fund. Mr Starling provided a cheque for £60 and expressly stated that the money was to be exclusively used by Christiana only for her wedding. 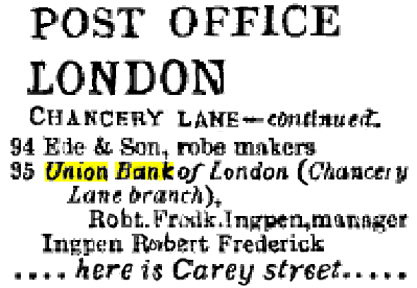 They then walked to the Union Bank of London in nearby Chancery Lane and cashed the solicitor's cheque for sixty pounds into gold sovereigns which Emily put in her bag. They then went to the Post Office and purchased a postal order for fourteen pounds payable to Messrs Hill, the brewery who owned The Cricketers Pub in Danbury to pay off an outstanding debt with some of the money just received from the bank. 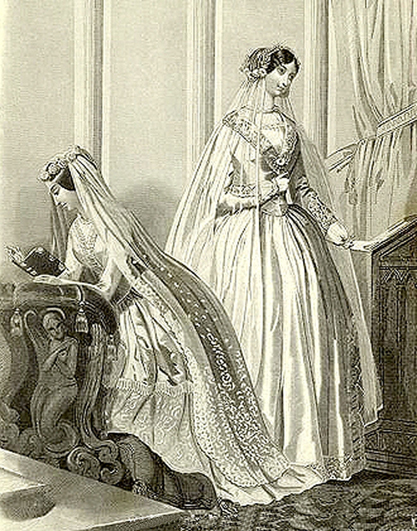 Christiana's wedding dress was then purchased for £14 .. 4s .. 6d (comparable today to £6,700). Emily also bought a tea service and some other items all from the £60 and then they all returned to Danbury. Christiana and Thomas married on the fourth of November 1885 in Danbury. After the wedding she asked for the balance of the sixty pounds trouseaux because she had used less than twenty pounds. The newspaper reports of this incident vary. One states that she asked her father for the outstanding balance and he said "ask Emily." The other report states that she asked Emily who said she should ask her father. Whichever was the case the reply was "now you have married Tom Langman he must keep you" and gave her two shillings (comparable today roughly to £50). This incident was the reason that Christiana and Thomas took George and Emily to Chelmsford County Court to obtain the balance from her £60 trouseaux. There was also a dispute between the two families over the remaining trust fund monies which went to the High Court of Chancery for settlement. The original trust fund amount in 1871 was £12,000 (comparable today to just over six million pounds). 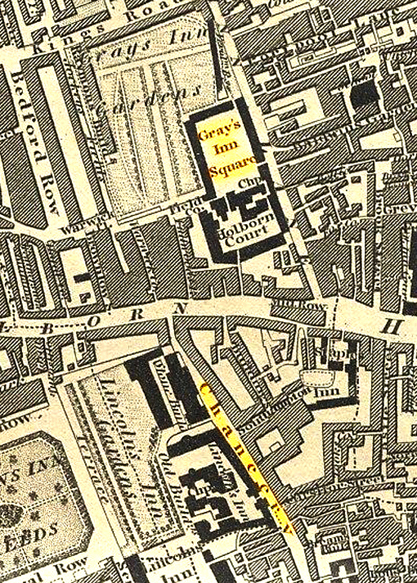 The map below shows the area of Grays Inn Square and Chancery Lane where the Solicitor and Bank were located the diectory show both these offices. 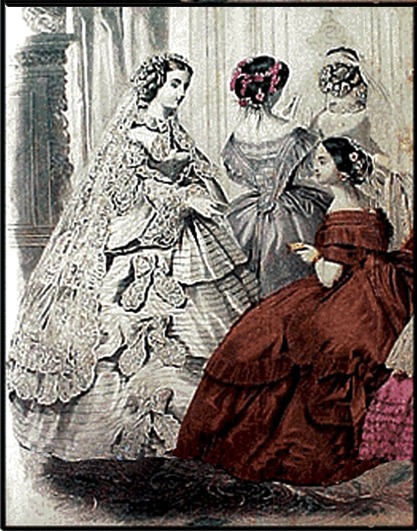 The illustrations of wedding dresses come from contempory magazines of the period. On the bank notice Carey street is mentioned this was where bankruptcys were filed and a common saying was if times were hard "we'll end up in Carey Street".